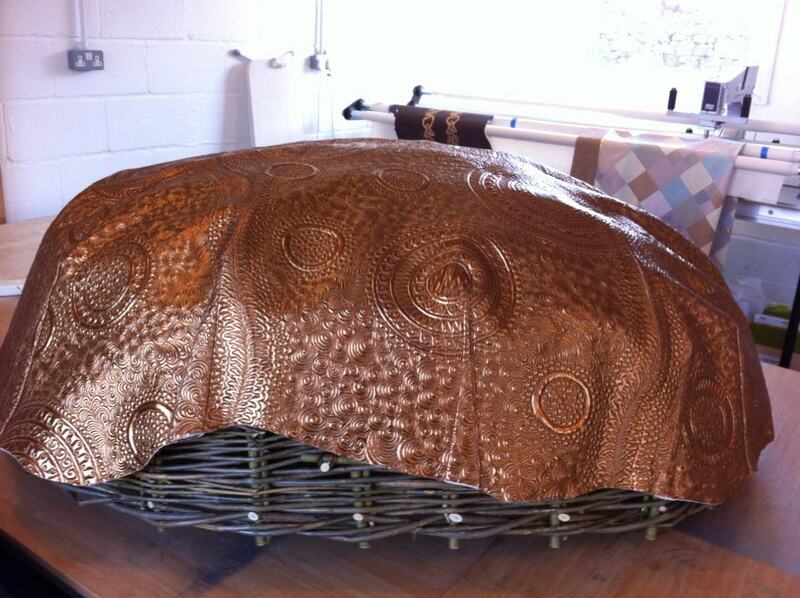 When I was not teaching in school this week, I spent untold hours working on the Quilted Coracle. I used a leather punch to make holes in the chamois binding then added a multitude of brass eyelets. It took me a while to figure out the best way of attaching the cords and pulling them taut. I wanted to use natural hemp string but this proved too difficult to thread through the small eyelets. The cotton cord looks quite like leather but is far stronger. Simple lacing as I had planned was not effective; the best method was to tie strong lengths of cord through the wicker and eyelets. I even had to use pliers to make sure that the knots held and did not slip undone. I wanted to attach circles of beads and shells inside the coracle but it proved tricky to reach with a needle and thread in places. It would have been easier to sew these on before the cover was attached but then I may have had trouble with positioning the darts or the beads could easily have got caught or knocked off while I wrestled with stretching the cover back into place. I decided that seven circles of beads would have to suffice but IF I have time left after finishing all of the other FOQ projects and customer quilts, I can always add a few more! 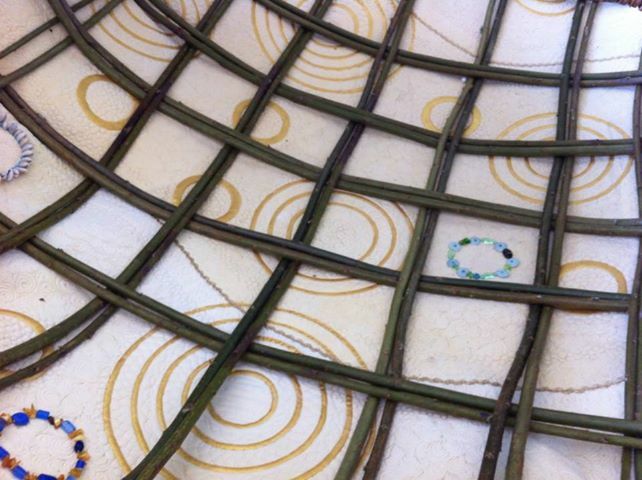 The next major task was to sew clusters of beads and shells all of the way around the top rim of the coracle. 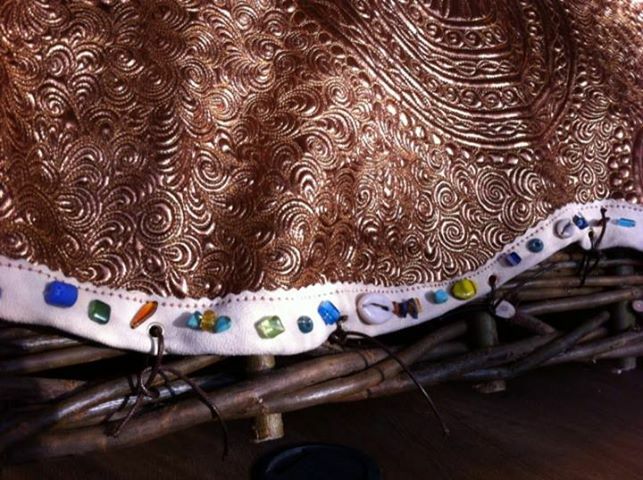 I had to use a long, thin beading needle to attach chips of amber, turquoise, shells and blue glass beads because I wanted to trim the coracle with the type of stones that Ancient Celts or Vikings may have used. I broke two needles before I reached all the way around the 200 inch circumference. 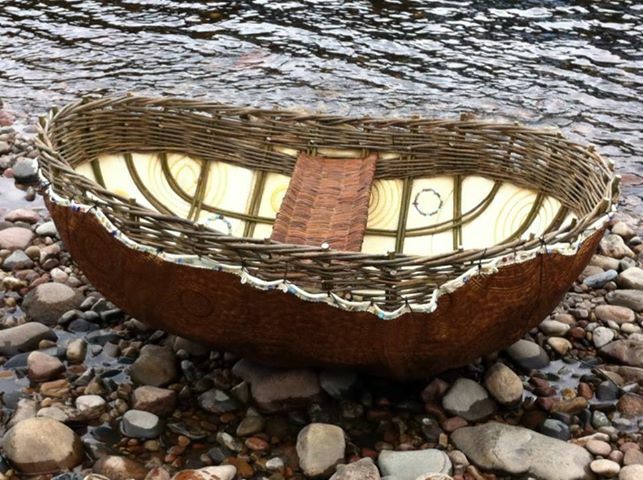 I have noticed that where the willow wands form structural ribs in the coracle, some of the shiny spandex has worn away. The solution to this snag will be to rub in some gold wax so it looks like worn areas of cast bronze. I completed another FOQ entry form for a Two-Person category quilt that is pieced but not yet quilted. It was difficult writing a blurb for something that is still a top without having a firm quilting plan in my head. It also required a title so I plumped for “Dunes Duet”, simply because it is made with Cherrywood fabric in soft sandy colours and is a project that will have been worked on by two quilters so we will just have to go with that! 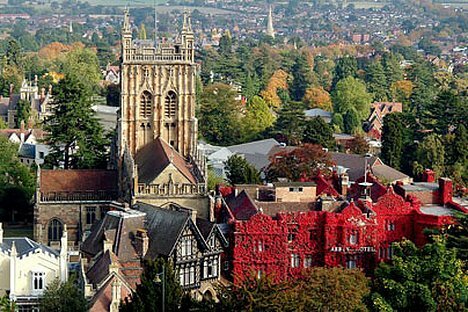 As I had anticipated, I had a busy few days prior to my trip to Malvern making sure that the fridge was well stocked and that Freya had everything ready for her marathon school bus trip to Spain. Finally, I made 200 inches of wavy chamois binding and attached it all around the rim of the coracle. For some reason I decided to finish off the edge with an embroidery stitch and had to stop myself from adding even more decorative stitching as I remembered that there would also be lots of eyelets to add detail. I just hope that at least one of the leather punches will be strong enough to crunch its way through all of that spandex, wadding and suede. After I had taken Freya sailing and dropped her off for Duke of Edinburgh training I headed down to Falkirk in the evening so that Ellen and I could hit the road to Worcestershire on Friday morning. The Landy did a sterling job as usual apart from struggling on long, slow hills with its temperamental turbo. I had lashed two 10ft long boxes on top that contained the rails and poles of a longarm quilting system that would be delivered during the show. Apart from getting help from a neighbour to shove the boxes up onto the roof-rack, I covered them with a tarpaulin then tied them on with ratchet straps and nylon rope entirely unaided. 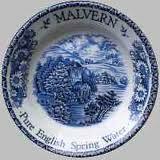 Ellen and I discussed everything under the sun on the journey but we were glad when we turned off the tedious M6 motorway and followed more scenic roads into Malvern. We stayed at a pleasant Bed and Breakfast run by the aptly named Mr. and Mrs. Gotobed and wandered down to the local pub for wild boar burgers washed down with Hobgoblin real ale. The show was held at the Three Counties Showground and it was very busy. There were many traders’ stalls crowded into the main hall and marquee and a high standard of competition and exhibition quilts. 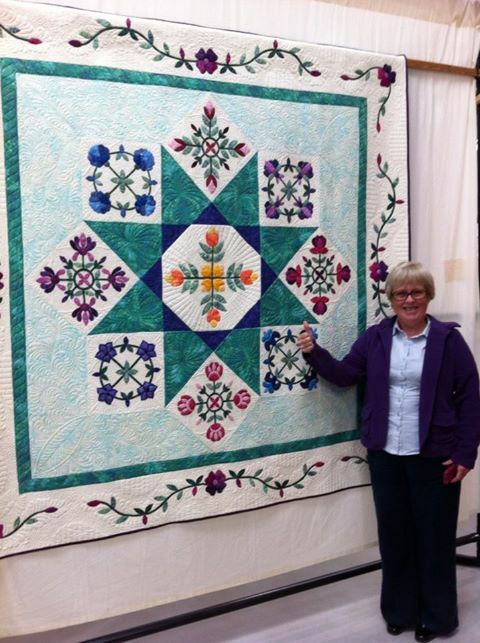 We were excited that our friend, Kay Bell had won the longarming prize for one of her customer quilts and teased her by text message saying that Ellen would spend the day impersonating the talented winning quilter. I bought more printing tools that I will add to the collection of blocks and rollers that is still pristine from the last time I bought a batch at FOQ, Birmingham. Perhaps if I reorganise the drawer that contains all of the creative stuff, I will be more inclined to use it? 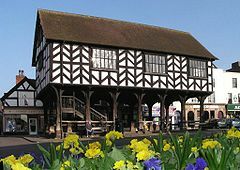 We drove out to the pleasant market town of Ledbury on twisty roads through scenic countryside where we had another delicious pub supper with Ani and her friend, Tracey. I bounced book ideas around with Ellen and made some notes to add to the many other ideas that already need editing. 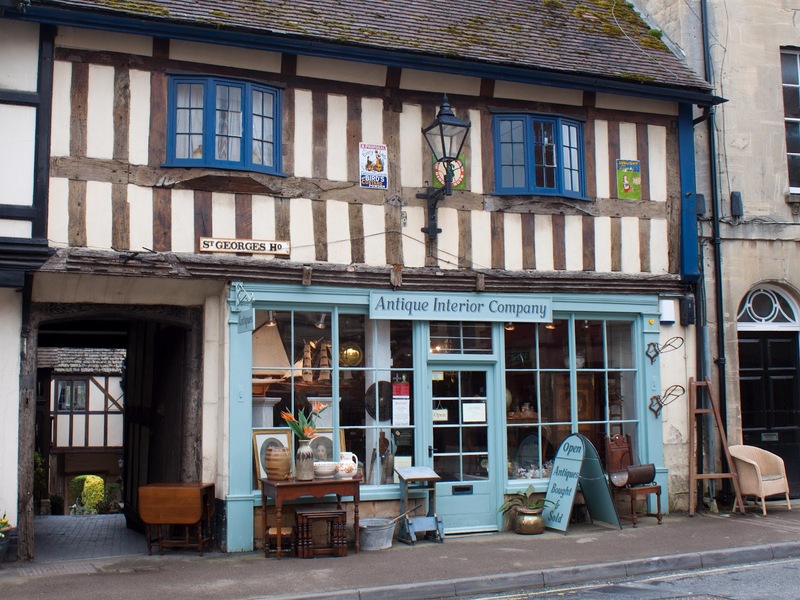 We travelled further into the Cotswolds on Sunday to deliver the quilting machine to a quaint, new quilt shop next to the museum in Winchcombe. I had to park on the pavement and climb onto the roof to untie all of the straps. We carried the boxes across the street and squeezed the longarm frame into its new home after flagging down a passing Man to undo some over-tight bolts that had defeated us. I ceremonially switched on my upgraded APQS Millennium and quickly quilted a tiny quilt that will be for the kids’ piano teacher when her new baby makes its appearance. The machine worked even better after I connected up the extra cable that I had thought might have been a spare. A custom quilt arrived in the post that requires a lot of stitch-in-the-ditch ruler work so I need to order a new ruler base from the USA as soon as possible or decide whether to remove the thread cutter that will allow my old one to fit back on. I was feeling nervous about chopping large chunks off the coracle skin to make it fit so I persuaded Mo to supervise me placing darts around the outside. I decided not to cut sections out as it would have left raw edges, exposing some wadding so I have just sewn them down. After some debate, I decided to put the bronze spandex on the outside of the coracle instead of the chamois. This means that the lighter side of the skin will be seen on the inside through the gaps in the wicker. This is actually a much better place to sew all of the beads since they are less likely to fall off if they are inside the boat. When it was sitting on the work-table upside down it looked just like a giant turtle. I need to attach the chamois binding and lace it all on by the beginning of June as the fishing shop in Banchory has requested it for display it in one of their windows during the River Festival Weekend. Obviously, 24 hours of having the internet working without a hitch was a fluke. The minute I tried to reset the wireless printer the whole thing went down and I had to make several long and frustrating phone calls to Orange, aka EE. First you have to pass a secret password test with Geordies then you are transferred to a crackly phone line to the technical experts in India with tinny muzak blaring out of the phone every time you are put on hold. To add to this infuriating process, I was unable to use the landline and the mobile phone reception in the corner of our granite house where the modem is situated was awful so the technician kept getting cut off. Somehow I managed to control my temper and insisted that I should be sent a new modem which duly arrived 48 hours later. Amazingly, I plugged it in, tapped in a new code and got all of my gadgets working again. It is incredible how dependent I am on having a reliable wifi connection. I needed to find out about UK Customs red tape, send emails as Chairperson of the School Parent Council regarding planning permission for a car-park, correspond with quilters, liaise with teachers and purchase disposable cameras for Freya’s school trip to Spain. One of my friends idly wondered why I seem to live my life at a frantic pace but I did not have time to reflect on an answer to that question for more than 3 seconds as I was too busy dashing about. An added complication has been that my husband had to go in for an emergency eye operation to have a detached retina fixed, probably as a long-term result of a childhood accident. 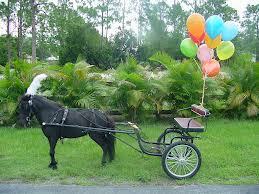 To recuperate from this procedure, he has to move as little as possible and he cannot drive. This weekend I ran a workshop for a group of girls from the International School and their mothers. It was great fun despite being a bit crowded; we even had to set up some cutting tables outside the workshop, weighing the fabric down with stones to stop it from blowing away. 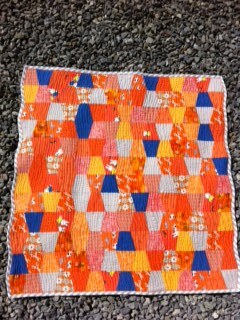 The girls learned how to hand-sew hexagons and make half-square-triangles for a cushion. They all seem keen to come back and do another class when I have some free time. On Saturday evening I went to see Fenella in her first fiddle concert and competition with the Banchory Strathspey and Reel Society, followed by a lively ceilidh. There were visitors there from all over the North of Scotland including many talented young musicians from Orkney. On Sunday afternoon it was Fergus’s turn to perform in a guitar concert where we enjoyed everything from acoustic versions of The Beatles, Spanish gypsy rhythms, to Jimi Hendrix and some serious rock solos. It has been quite a feat ensuring that everyone has the necessary supplies, equipment and is in the right place at the right time. I zoomed past the arranged rendevouz with Freya and the other Duke of Edinburgh hikers whom I was supposed to collect after their camping expedition and there was no mobile phone reception to let them know that I was making a minor detour and may be slightly delayed. 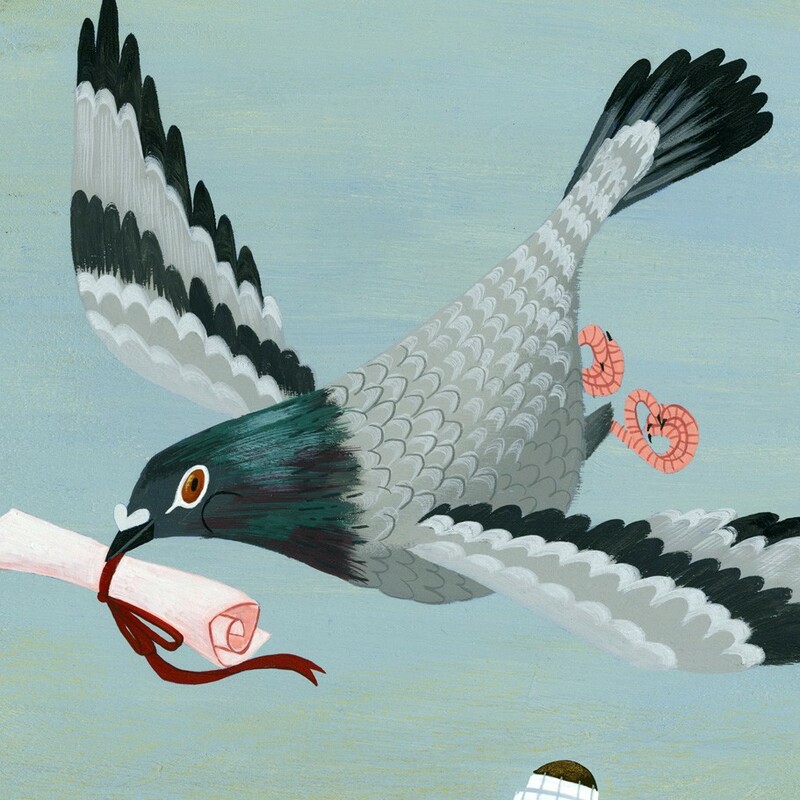 I reached the point where I was so frustrated with my appalling internet connection that I vowed I would invest in a pigeon loft and train carrier pigeons to convey all of my messages. I had all sorts of correspondence to deal with following the trip to Uttoxeter involving expiring customs carnets on demo machines, arranging a 2014 quilt retreat and longarm quilting enquiries. The Wifi was getting progressively worse but I needed to be in the right frame of mind to call customer services, based in India. In the end, after I had resorted to sending text messages and getting friends to send emails on my behalf, it proved relatively easy to remedy. The router needed to be reconfigured – I have no idea why – and finally things are working smoothly again. My Landrover went for its annual service recently but since then its turbo has become sluggish and I now have randomly activating wipers/squirters. If I go over a bump, the wipers decide that it is time to give the windscreen a quick wash. I listened to a radio programme all about Highland Ponies and decided that they were probably less temperamental than the Landy but it would take an awfully long time to drive a cart all the way to Birmingham for Festival of Quilts. 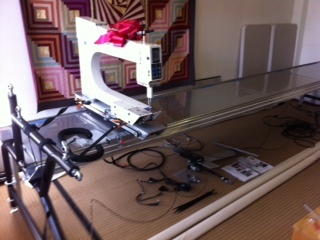 Since it was a 3-day weekend, I plucked up the courage to install my longarm machine upgrade. This involved dismantling the whole frame to fit new, smooth rails, adding a hydraulic table-lift, and setting up a 2013 APQS Millennium. Tania helped me to man-handle the 14 ft long poles and then I had to work my way through the instruction manuals methodically. These were actually very well presented with step by step photos but I simply find things like that befuddling. I slowly got everything worked out apart from reassembling the frame as I need help to manoeuvre the extremely long poles back into place. What really took time was the decision to dejunk my workshop. I simply cannot work in a muddle and I felt that things were getting over-crowded. I got rid of cardboard boxes for items that were now out of warranty, decided to clear out magazines that I was not going to re-read and even ditched scraps and odd bits of poly wadding that I had to admit that I would never use. I had to fit in a few odd chests of drawers, folding tables and porter trolleys for exhibitions that needed to fit in more neatly. I created rather a mess before I could see an improvement. I really should tackle some of the cupboards and wardrobes in the house in the same manner but now that my workshop looks more inviting, I will be too busy sewing. I even found the leather eyelet punch that was “lost”!